The BC stroker kit for the Subaru EJ25 engine utilizes a custom, 83mm monster stroke, steel billet crankshaft, not a reworked factory EJ25 crank. Depending on bore size that you decide, the BC kit will take you up to a 2.71L with a safe 102mm bore. As usual, each BC kit features custom CP forged aluminum pistons, premium alloy wrist pins, full ring pack and buttons. Big time power and torque gains. BC Econo rods rated to 600 horsepower, BC Pro Series rods rated to 800+ horsepower. 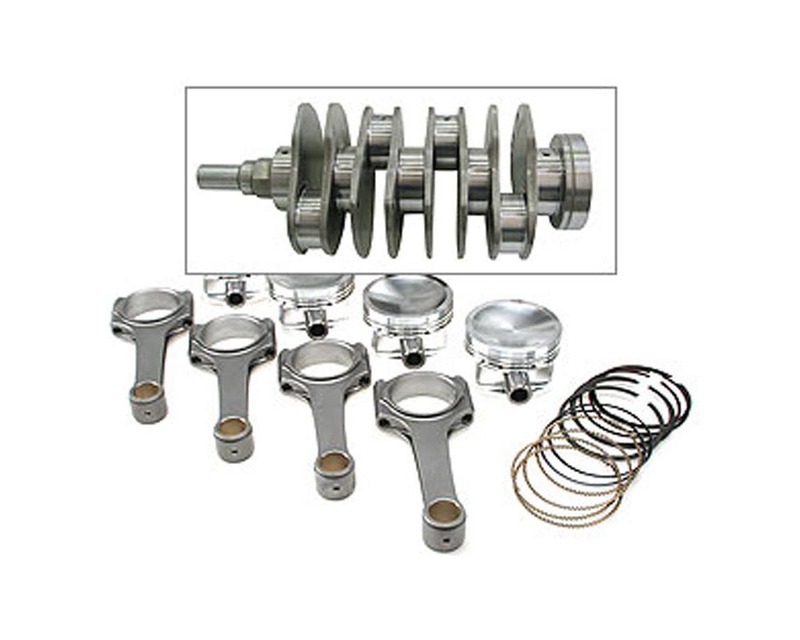 -BC 4340 billet steel crankshaft (83mm stroke). Not a reworked OEM EJ25 crank. -BC 4340 Econo or Pro Series steel billet rods w/ARP 220,000 psi fasteners. -CP aluminum forged pistons (any bore size, any compression ratio). -9310 nickel carbon steel alloy wrist pins. -Ductile iron plasma top rings, tapered second ring, low tension oil rings. -Typically includes aluminum buttons/rail supports (not locks). -Fully system balanced and ready to install.